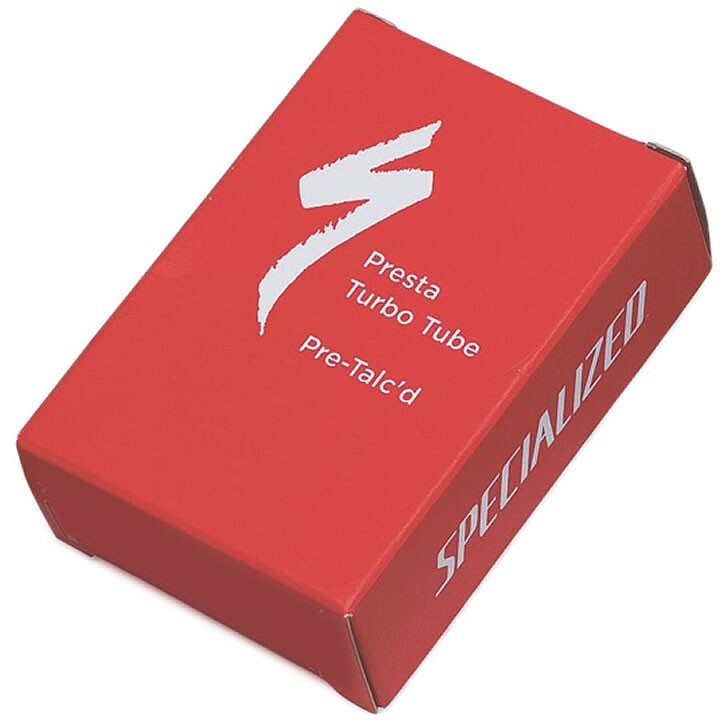 Specialized Turbo Presta Valve Tubes with Talc are the least expensive way to ditch 40 grams of rotating weight. They're Specialized's lightest road tubes, and have been tested to reduce drag up to 13% per wheel. Patented, oversized, 4.8cm valve base prevents tearing. Partially threaded valve stem for cleaner interface with pumps. Specialized lightest and most supple tube offering. The Turbo ultralight tube, with patented valve and valve base, is proven in rolling resistance testing to reduce drag by as much as 13% per wheel.